Comment: I need a backyard patio poured. Dimensions are 26' x 14'. Comment: would like a paver patio and fire pit with seating,also need walk-ways and planters with lighting. Comment: I would like an outdoor fire pit and patio installed. The location is already set and a gas line is run, just need to have the paver/flag stone installed and fireplace built, then connected to gas line. Location will need a little bit of leveling. Open on recommendations for best design. This is a project we would like to start moving forward on in the next couple weeks. 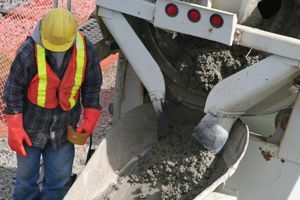 K & S Collars, Inc.
Orem Concrete Contractors are rated 4.81 out of 5 based on 223 reviews of 29 pros. Not Looking for Concrete Contractors in Orem, UT?